On the cusp of primaries in New York and Pennsylvania, Democratic presidential candidate Sen. Bernie Sanders has released an anti-fracking ad in an attempt to showcase his differences on the issue from his rival Hillary Clinton. "Sanders is the only candidate for president that opposes fracking everywhere," actress Susan Sarandon, who narrates the ad, says in the video that was released on Monday. 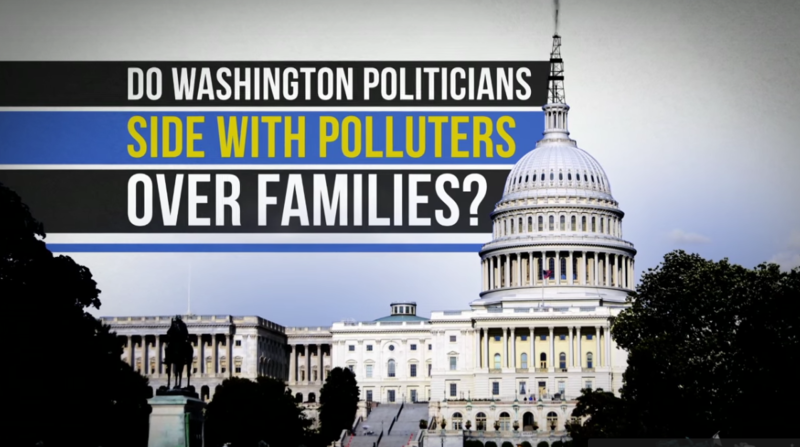 The video cites concerns that fracking threatens drinking water because it "pumps dangerous, cancer-causing chemicals into the ground" and says Washington politicians are "choosing big polluters" over families because they've been influenced by money from "Big Oil." Sanders supports extending New York's ban on fracking across the nation and praised New Yorkers at a Monday event for pressuring Gov. Andrew Cuomo to ban it. “If we are serious, we need to put an end to fracking not only in New York and Vermont but all over this country,” he said. New York banned fracking last year while the shale industry has flourished in Pennsylvania over the last decade and currently produces the second-highest amount of natural gas after Texas. As StateImpact Pennsylvania points out, Clinton expressed her views on the issue at a debate in Michigan last month. Clinton has been supportive of the natural gas industry in the past as a "bridge-fuel" to a future based on renewable energy, which is closely aligned with the position the Obama administration has taken on the issue, as The Huffington Post noted. Under her leadership, the State Department worked closely with energy companies to spread fracking around the globe—part of a broader push to fight climate change, boost global energy supply, and undercut the power of adversaries such as Russia that use their energy resources as a cudgel. Reach reporter Natasha Khan at 412-315-0261 or nkhan@publicsource.org. Follow her on Twitter @khantasha.